Will Bacteria in Raw Food Hurt My Dog? 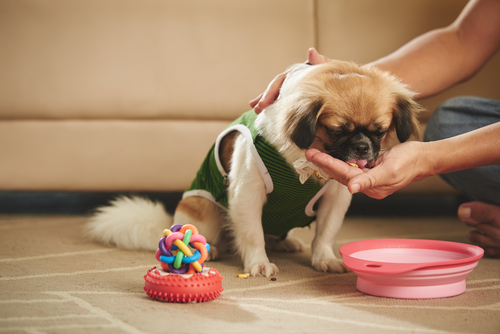 Not all veterinarians are on board with raw feeding for dogs because of the bacteria that poses a risk to dogs and cats as well as their humans. I’ve been feeding my dogs a raw food diet for nearly four years and the bacteria hasn’t made our dogs sick or harmed us, their humans. 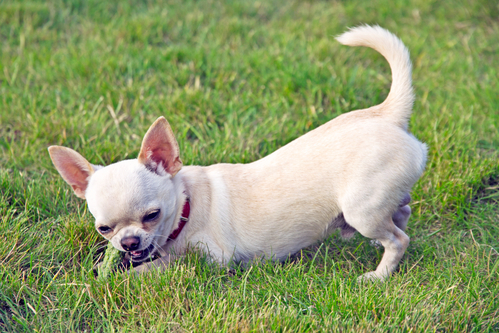 Dogs are built to deal with bacteria in their food. Their saliva contains anti-bacterial properties. Their digestive tracts are shorter, allowing them to process and push through their food before bacteria can pitch and tent and camp out in their system. And their gut isn’t a happy place for bacteria to live either. However, not all dogs are equipped to deal with bacteria. If you’re raising a dog that has a compromised immune system, the bacteria in raw dog food may cause a problem. For these dogs, it’s best to work with a holistic veterinarian who has advanced training in canine nutrition and experience with raw feeding on a proper diet for your dog. If you’ve ever handled raw meat (turkey, chicken, beef) without getting sick, then you can feed your dog a raw food diet with no trouble. I’m currently feeding four dogs a diet of raw dog food, and I do the following to keep bacteria from becoming a problem. Wash Your Hands – when mixing up raw meals and serving raw meals, I always wash my hands after I’m finished. I keep lotion in the kitchen because my hands get so dry this time of year and the extra hand washing isn’t helping. Wash Your Tools – I always wash everything I’m working with and if it’s dishwasher safe, even better. This includes my dogs’ dishes. There are raw feeders who believe that allowing the dogs to lick the dishes clean is enough – I don’t mind washing them by hand several days a week and putting them in the dishwasher when there is room. Buy Food from Trusted Sources – when buying food, ask about the source and make sure that you’re not buying 4D (diseased, dying, downed, and dead) meat. If buying from a grocery store, ask about how long the food has been thawed. My local grocery store, for instance, receives their meat thawed and it remains that way until sold. 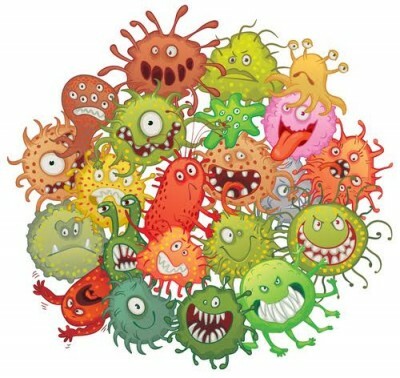 This allows pathogens to grow and multiply. While some dogs won’t have an issue with raw purchased from my grocery store, two of my dogs did have trouble – there was too much bacteria. I now buy food that has been frozen, arrives frozen, and goes directly into my freezers. Choose Raw that Has Gone Through HPP – HPP or high-pressure pasteurization is a process some brands use to eliminate pathogens in their raw pet food. While some raw feeders feel that any processing destroys nutrients in the food, more will agree that HPP raw is healthier than commercial dry dog food. HPP raw also makes raw feeding an option for dogs with a compromised immune system, however, speak with your holistic veterinarian about diet changes before making them. 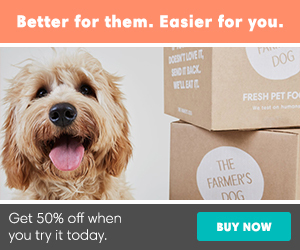 Don’t Sample Your Dog’s Food – and above all else, don’t taste your dog’s raw meals. Raw feeding doesn’t have to be risky or dangerous. If we practice common sense and educate ourselves on what to feed our dogs and where to get the food, we’ll be able to safely feed our dogs a species appropriate diet that they’ll thrive on. About the Author: Kimberly Gauthier is the Dog Nutrition Blogger and Pet Food Nutrition Specialist behind Keep the Tail Wagging, a blog about raw feeding and dog nutrition. Kimberly and her boyfriend are raising two sets of littermates in the Pacific Northwest where they enjoy a property with plenty of room to run and explore. Are Cucumbers Good For Dogs? 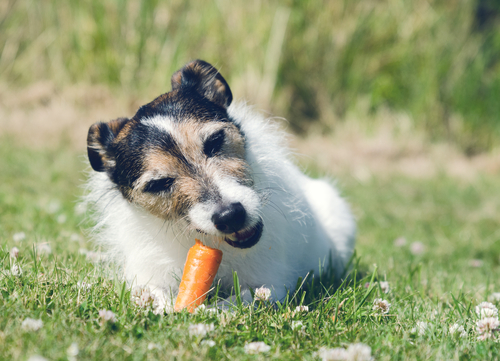 Are Carrots Good for Dogs? Absolutely!